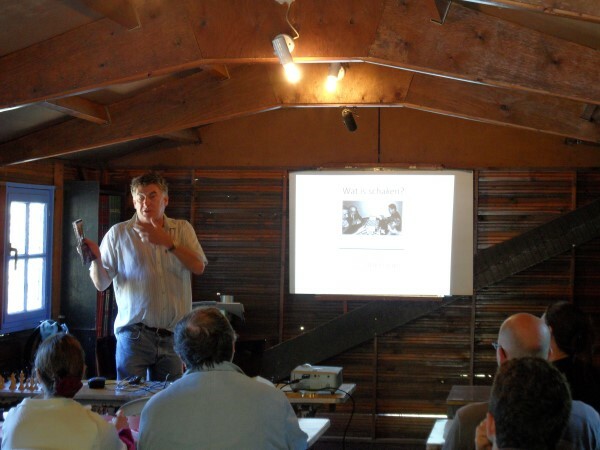 Karel van Delft during lecture chess psychology in camping La Rochade in France. 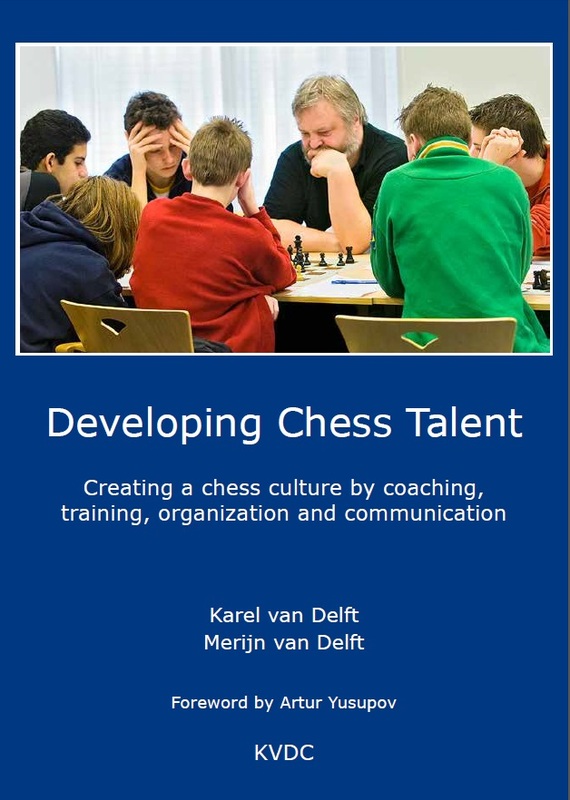 Karel van Delft offers a ‘Compact online training course chess psychology’. The training course is individual and meant for players, trainers, coaches, parents and organisers. It is individually tailored. Themes to discuss are based on personal questions of the participants. Themes are for example training, learning, self-management, creativity, talent development, communication, perceiving, fysical aspects, didactics and creating a stimulating chess culture. 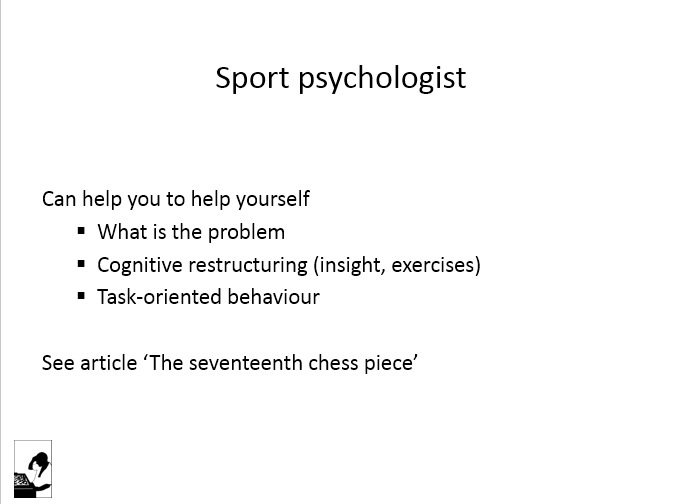 The training consists of two hours Skype contact and/or e-mail about chess psychological questions (based on personal experiences and/or documentation). The training is possible in English and Dutch. The training costs 75 euro (payment via PayPal or bank account). Karel van Delft is psychologist and certified chess trainer by Dutch chess federation KNSB. He wrote several books in Dutch about chess psychology and training. His book ‘Schaaktalent ontwikkelen’ was translated into English (‘Developing Chess Talent’), see www.chesstalent.com.